Take advantage of our Long Stay offer in São Paulo and spend an extra few nights exploring the hidden corners of the city. 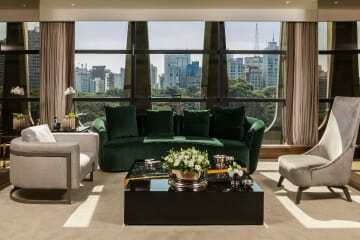 Save up to 15% on stays of 3 nights or more at Tivoli Mofarrej São Paulo and enjoy indulge in our luxury facilities. Spoil yourself with an extended holiday in the lap of luxury and save. We’re making it easier to enjoy extra nights at Tivoli with our exclusive Stay Longer campaign. Take advantage of up to 15% off stays of three nights or more.